Have you ever compared your home insurance premiums with someone else and wondered why you pay more? You might both own similar houses in similar neighbourhoods, but you’re the one with the higher home insurance bill at the end of the year. There are several factors that affect the home insurance premiums you pay. Here are some of the key variables at play. Do you live in a neighborhood that’s prone to fires, floods or break-ins? Then it’ll cost you in the form of higher home insurance premiums. Insurance companies keep track of how many claims are made in each neighbourhood, city and province, and adjust prices accordingly. The higher the statistical probability you’ll file a claim, the higher your home insurance premiums will be. You may the love the novelty of a wood-burning stove to heat your home, but your insurance company probably won’t. Not only are stoves common cause of fires, they can also lead to carbon monoxide poisoning if they’re not properly installed. If you’re buying a home with a wood-burning stove, your insurance company will likely want to inspect it. If they do end up insuring you, it’ll probably lead to higher home insurance premiums. For that reason, it’s wise to speak with your insurance company before making an offer on a home with a wood-burning stove. Same goes for using oil to heat your home. Insurance companies would much rather you have an electric, forced-air or gas heating system. If the plumbing in your home is dated, it’s going to lead to higher insurance premiums. You should think twice about buying a home with galvanized or lead pipes. These are considered dated by insurers and are more likely to crack and leak over time. 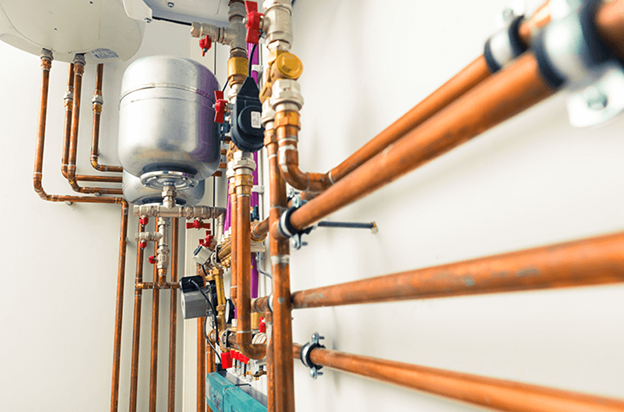 It’s much better to find a home with copper or approved plastic pipes. Is your home’s roof 20 years old? If so, you’re going to have to shell out higher home insurance premiums because of it. Most insurance companies prefer a newer roof. If your roof is dated, not only will you have to pay higher premiums, you might only be covered for the depreciated value. This means that if you need to make a claim, your insurance company won’t pay the full replacement value. Related factors that can affect your home insurance premiums include your roof’s warranty and the quality of the work. Similar to piping, your home insurance company would much rather your home have an updated wiring network. If you have dated wiring, such as knob-and-tube or aluminum wiring, you’ll likely face higher home insurance premiums. The same goes for a 60-amp electrical service. These types of wiring increase the risk of a fire, meaning you’re more likely to make a claim. If your home is 20 years old or more, your home insurance company may refuse to accept the risk. You may have to upgrade the wiring before finding a company willing to grant you coverage. If you’re looking at purchasing an older home, have the wiring inspected and consult with your insurance provider. You don’t want to be blindsided at the last minute when you’re about to make an offer.